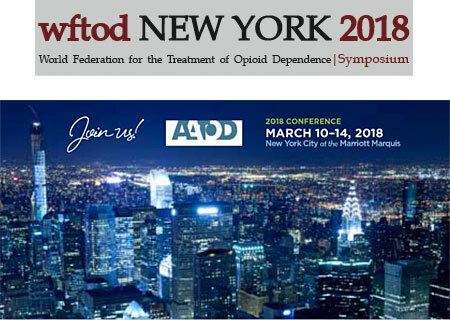 The World Federation for the Treatment of Opioid Dependence (WFTOD) and EUROPAD will select up to 12 oral presentations to be presented during the next AATOD congress (New York, NY, USA, March 10-14, 2018). 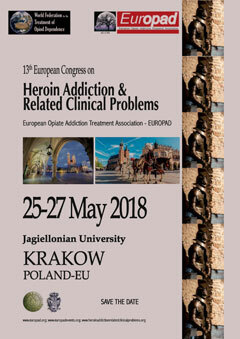 Based on your interest and research activity in the field of heroin addiction, on behalf of The European Opiate Addiction Treatment Association, we would like to extend a cordial invitation for you to submit an oral presentation concerning the bio-psycho-social aspects of heroin addiction. 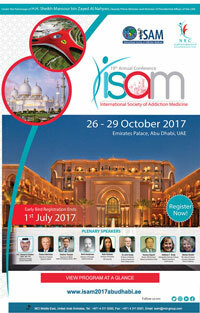 Selected oral presentations will be published as short communication in Heroin Addiction and Related Clinical Problems. Must provide with evidence from clinical populations of heroin addicts. Data shall be presented in the form of a statistical elaboration. Works may consist in a variety of models, including epidemiological studies, observational studies, research designs. Oral presentations should include the statement that all ethical requirements (e.g. informed consent) have been fulfilled in accordance with the Declaration of Helsinki. A special committee will select abstracts and check the pertinence of submitted abstracts to the focus of interest along the above criteria. Authors of selected abstracts will be invited to provide an oral presentation of their work to be presented during the next WFTOD FORUM during the next AATOD congress (New York, NY, USA, March 10-14, 2018). Unfortunately WFTOD-EUROPAD cannot support financially your participation to the conference. We are trying to collect sponsorships. If sponsored, we will divide funds between presenters. Please note that submission of the abstract does not constitute acceptance for presentation.